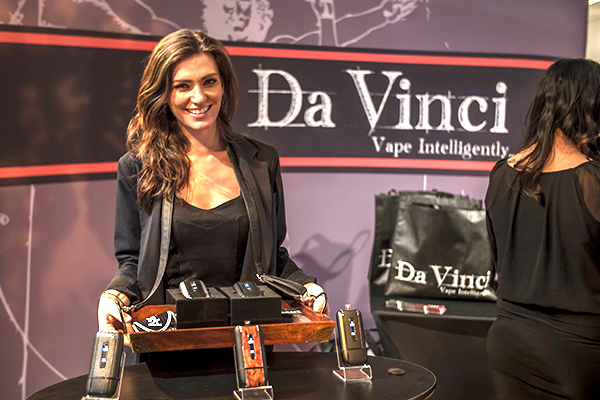 This month Davinci Vaporizers showed New York what luxury vaping was all about! 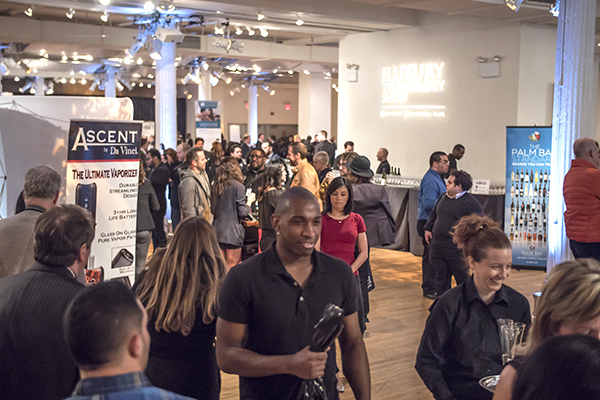 We attended The Luxury Technology Show (TheLTS) by RAND Luxury held at the Metropolitan Pavillion in New York city. The LTS is a prestigious event where companies come to show off some of the most advanced gadgets on the market! We had the opportunity to share our products with Press & media, industry executives, buyers, dealers along with affluent consumers interested in acquiring the world’s finest innovations and there were some truly incredible products alongside our Davinci Vaporizers. We took the crowd by storm with our fully interactive vape bar! The vape bar featured 6 different styles of the Davinci Ascent with several refreshing dried herbal blends for sampling. Everyone who came by seem to love the Ascent our ascents and we may have converted quite a few into vapers! Check out the pics below. The Davinci staff loves attending trade shows! The best part of course is always connecting with people and sharing our product with the world. Who doesn’t love swag though? We had a blast handing out tons of brand new Davinci Ascent units, t-shirts, bags, stickers, and more. Davinci had a great time attending the Luxury Technology Show and we are honored to have been the exclusive vapor product featured at the event. We hope to see you at a future trade show that we attend! Follow us on Facebook or Instagram to get updates on where Davinci Vaporizers might show up near you! Go ahead and watch the video below to see why we're so stoked on our the LTS experience.